Nordic Bakery, in the heart of bustling London, is an oasis of beautiful Scandinavian serenity, with some truly delicious treats to boot! It is a peaceful meeting place in a frantic city – a space where visual clutter and noise is eliminated, and minimalism and traditional Nordic cooking are the focus. The design trends of the Nordic region are famous the world over, and are reflected in the approach taken at this beautiful cafe. There is an acknowledgement here of the way that a beautiful space can enhance the way we enjoy our everyday lives. The distinctive, minimalistic interior, featuring muted colour schemes and clean lines creates a calming, peaceful atmosphere. Even the furniture is built around iconic Scandinavian design by renowned designers such as Alvar Aalto, Kaj Franck and Ilmari Tapiovaara. But of course a cafe has to be judged on the quality of its food, and its coffee. At Nordic Bakery there is a desire to serve honest, natural Scandinavian food, based on genuine Nordic recipes. It’s baked or cooked in-house with pure, high quality ingredients and always served fresh. 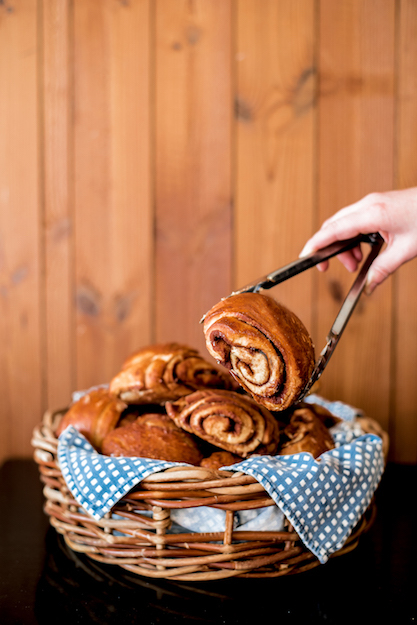 Perhaps Nordic Bakery's most famous indulgence are their huge and outrageously delicious cinnamon buns. 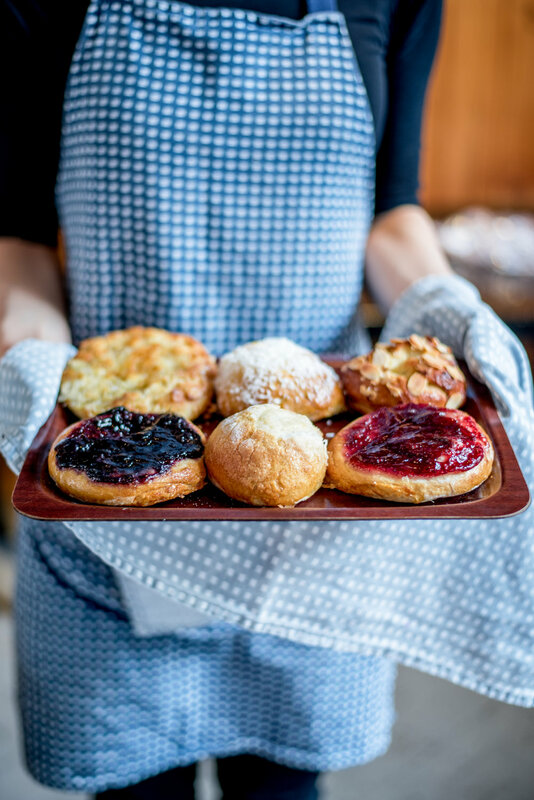 Nordique is a regular visitor and can certainly confirm that not only do they taste divine, but their delicious smell from the onsite bakery will encourage you in off the street! 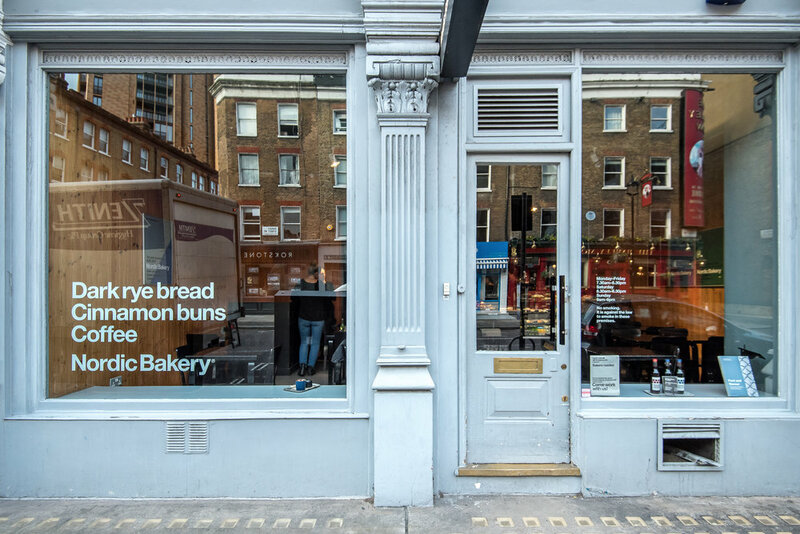 The buns originate from a rustic home-style Finnish recipe that Nordic Bakery have adapted and brought as an authentic slice of Nordic life to London. 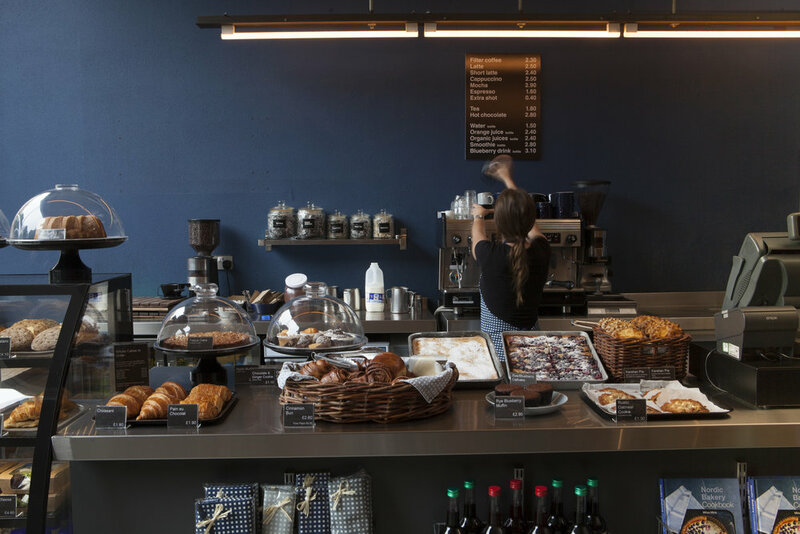 One of the main objectives of the Nordic Bakery is to create a place where customers can enjoy a truly Nordic moment, away from busy everyday lives. We have seen the growth in popularity over recent years of Nordic lifestyle trends - famously including 'hygge' and 'lagom'. 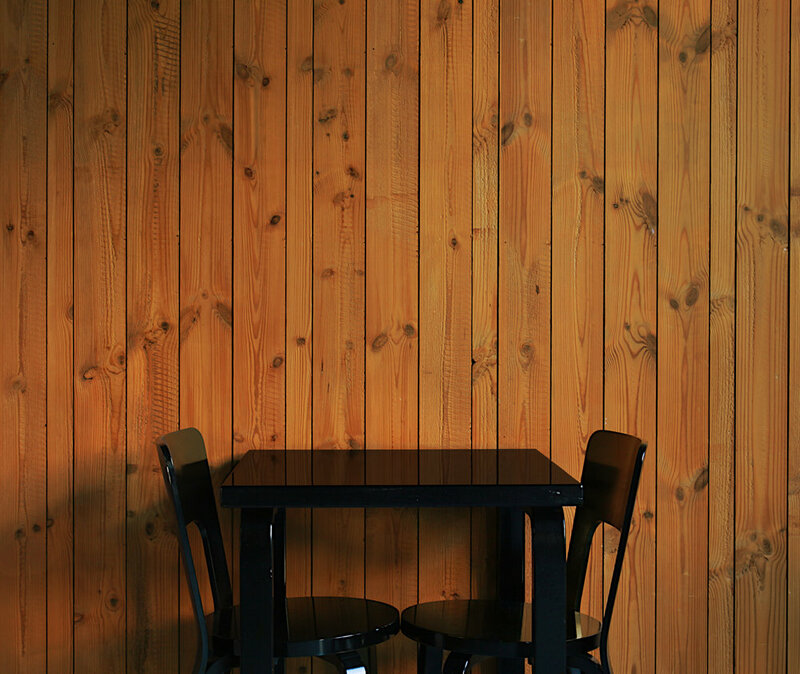 The cafe is a place to experience Nordic lifestyle - particularly the focus on taking a quiet moment to reflect and enjoy a good cup of coffee. Here you can also indulge in a truly classic Nordic dish, Salmon soup. This melt-in-the-mouth salmon soup with rye crisp bread is a perfectly balanced lunchtime treat. Simple and delicious Nordic breakfast plate with porridge, open sandwich, juice and of course coffee! Karelian Pies - A traditional Finnish rye crusted savoury snack with rice or potato mash filling. Served with egg-butter spread. 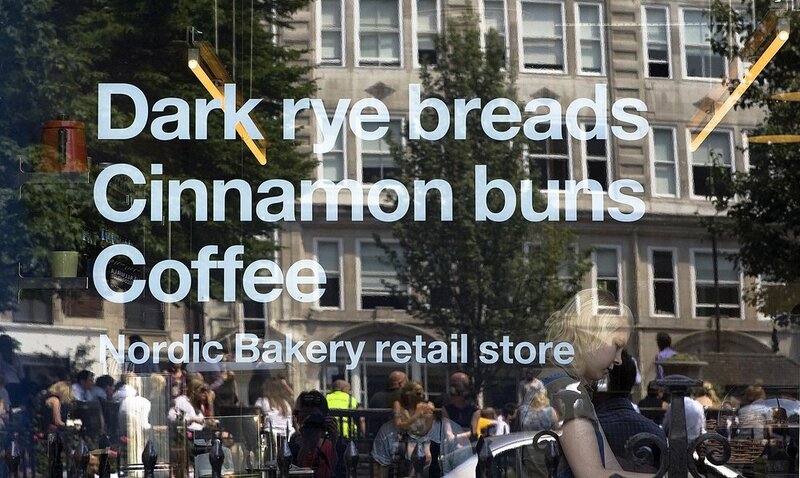 There are three Nordic Bakery stores in London - why not pay them a visit! The stores are located at New Cavendish Street, Dorset Street (each in Marylebone) and Golden Square in the heart of Soho.